Apple’s iPad 3 has been pushed back to a 2012 release due to manufacturing issues with the tablet’s planned Retina display. DigiTimes is hearing that two supply partners for the screen are unable to reach a good yield. Apple’s high-resolution 9.7-inch panel is said to operate at a staggering 2,048 x 1,536. Since the display has such a high resolution, it requires a much larger backlight source to properly illuminate the screen. A single edge light bar isn’t enough to reach the satisfaction level that Apple has put in place. Knowing Apple, they likely want to shrink the iPad 3 even further, meaning less space for light sources inside the thin tablet. Digitimes' sources indicate that supply partners Samsung Electronics and LG Display have been unable to reach a suitable manufacturing yield on the high-res display. Sharp is Apple’s primary provider though they weren’t mentioned as having difficulties with the screen. Even though a majority of panels would be available to build the tablets, it seems that Cupertino doesn’t want to risk a launch where they are unable to control a certain minimum level of product supply. “Apple was originally set to launch its iPad 3 in the second half of 2011 with a supply volume of 1.5-2 million units in the third quarter and 5-6 million in the fourth quarter, but Apple's supply chain partners have recently discovered that the related figures have all already been deleted,” says DigiTimes. The Retina display term was coined by Apple and used to describe the 3.5-inch, 960 x 640 resolution touchscreen on the iPhone 4. At a viewing distance of 12 inches, Apple claims that the display meets the maximum quality potential that the human eye can distinguish and that a higher resolution screen would have no visual effect. Supply of the iPad 2 will continue to hold strong, however. 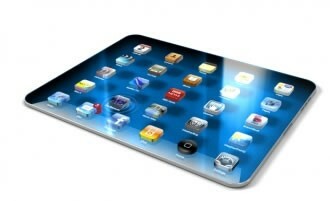 It is estimated that 28-30 million iPad 2 units will come off the assembly line in the second half of 2011.